Watchdogs say the agency will need 949 more full-time equivalents to handle health law work. The Internal Revenue Service will have its hands full trying to meet the customer service needs created by the Patient Protection and Affordable Care Act. The agency expects to get 11.4 million PPACA-related contacts from individuals during the fiscal year that ends Sept. 30. The agency believes it will need the equivalent of 754 full-time employees just to handle the PPACA-related individual customer service contacts, and 195 full-time equivalents to handle other PPACA-related work, such as reviewing PPACA-related items on tax returns. Officials at the Treasury Inspector General for Tax Administration, talk about the strain they expect PPACA to put on the IRS in a report sent to the IRS deputy commissioner for services and enforcement. TIGTA officials based the report on data obtained between April and August – before the federal exchanges’ troubled HealthCare.gov and state-based enrollment sites opened to the public. TIGTA officials note that the IRS and the U.S. Department of Health and Human Services have agreed to have HHS serve as the public face for the exchange system until 2015. But the IRS will have to review and approve any PPACA-related messages given to people who call HHS for help with tax questions, TIGTA officials say. TIGTA officials say the IRS seems to have a strategy in place to address the PPACA-related customer service challenges, but they aren’t making any recommendations or coming to any conclusions about how ready the IRS is for the PPACA-related contacts. 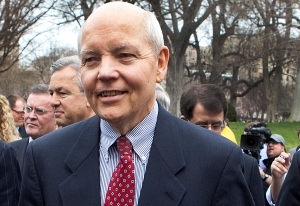 IRS officials had no comments on the TIGTA report.